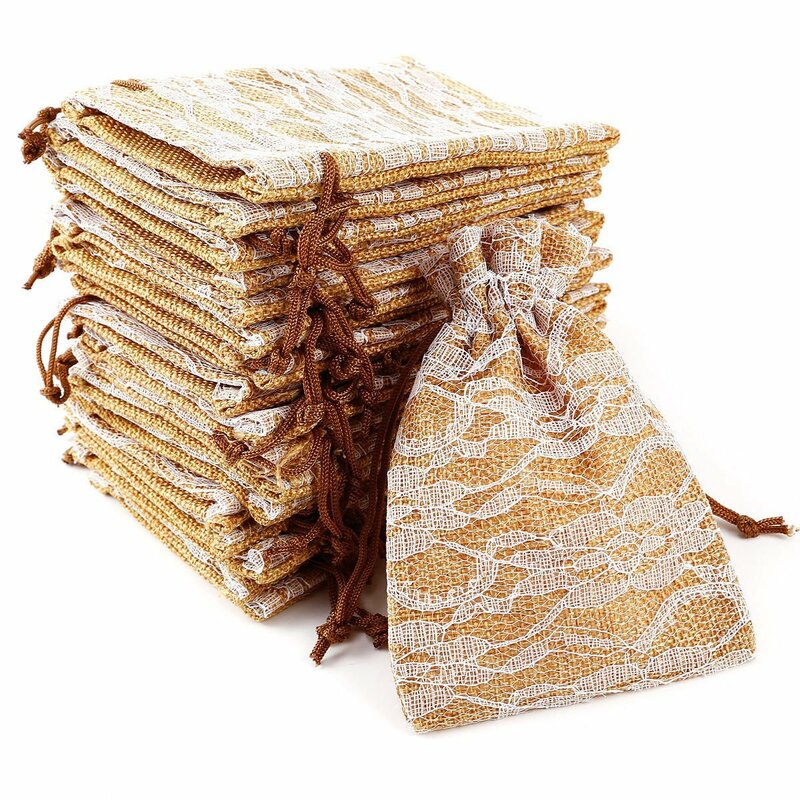 These quality jute bags are perfect for holding any gift of your choice, adding natural beauty to your favors! With its classic look dressed in lace, easily place edible favors such as jars of jam or honey, candies, tea, bottle openers, luggage tags or even compact mirror favors, the possibilities are endless! Dress them up with a personalized tag, or present them naturally on their own. Please contact us should you require these immediately.